God's Growing Garden: "Father Forgive Them"
"Two other men, both criminals, were also led out with him to be executed. When they came to the place called The Skull, there they crucified him, along with the criminals - one on his right, the other on his left. 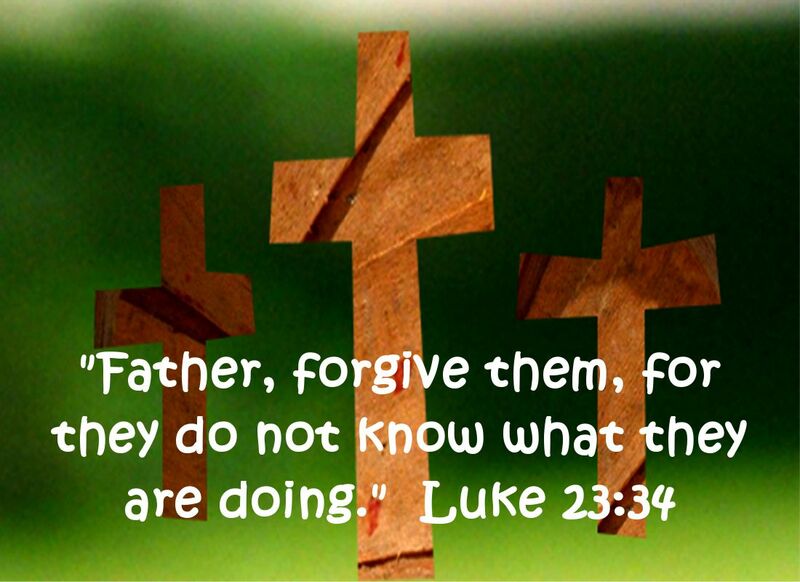 Jesus said, 'Father, forgive them, for they do not know what they are doing.' And they divided up his clothes by casting lots. Jesus answered him, 'I tell you the truth, today you will be with me in paradise.' "